I didn't just come home from Andover with James's winnings! 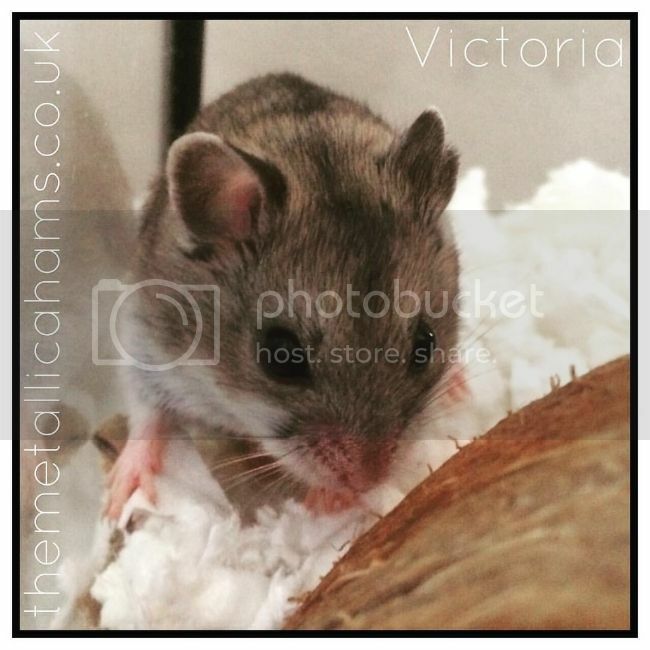 I didn't plan to go to the show and come home with another hamster as such but I was on the lookout for a nice normal girly to be paired with James and so Victoria came home with us. 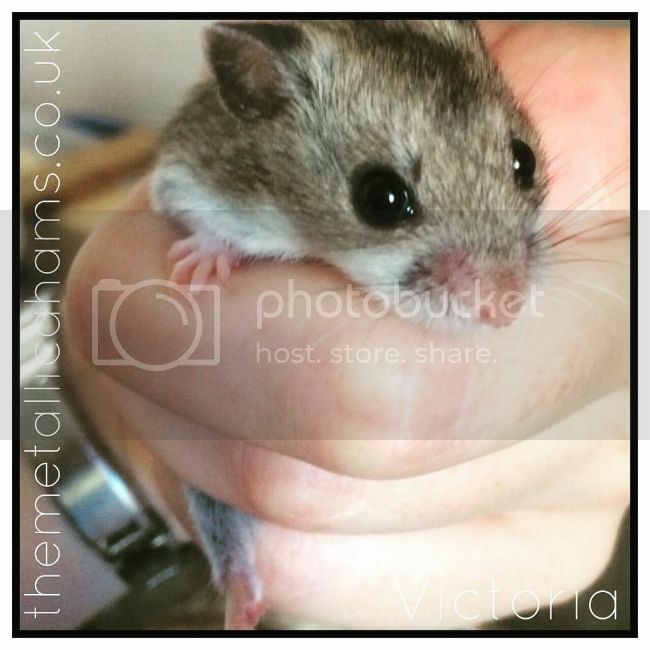 To start with I was dazzled by cuteness but Vectis encouraged me to be a little bit more objective, gave me some tips and this gorgeous little lady was decided upon. She's named after comedienne, writer and singer Victoria Wood. Last edited by Fluffagrams; 10-23-2016 at 08:40 AM. Location: Back where I belong! Oh she is gorgeous! I hope Jessie doesn't get jealous! RIP Pippin 05.03.16-13.07.17 I won't forget you..
"Some Angels don't have wings, they have little round furry bodies, four paws, a round nose, curious whiskers and unconditional love.."
She's beautiful! Lucky James She'll eat him alive lol! (Only joking). She really is very, very sweet Fluffagrams, congrats on your lovely new girl. Look forward to hearing more about her as she settles in & I hope she & James will be the start of great little things to come! Congratulations! She is lovely. All the best wishes for a happy and bountiful union. She was a bit out of sorts earlier in the week but she seems to have settled back down again now that she's realised that she'll still get her seeds. She really is a lovely little thing. Thank you again for the advice in helping to choose her. Here's a photo I took of the pretty little girly earlier this week when she was still finding her way around her tank.